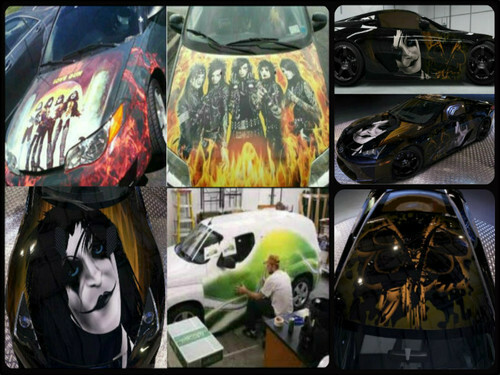 ✰ Auto embrulho, envoltório ✰. . HD Wallpaper and background images in the Rakshasa & friends club tagged: black veil brides kiss auto wrap. This Rakshasa & friends wallpaper might contain automóvel, carro, auto, suv, and caminhão.